Across the country, residents, friends, family and staff alike will be celebrating “Residents’ Rights Month” this October. This annual event honors those living in all long term care centers and presents a wonderful opportunity to focus on and celebrate the rights of each resident. 1. Volunteering improves residents’ quality of life. Your contribution as a volunteer has enormous impacts on the seniors you serve. Something as simple as a conversation can provide much-appreciated support and motivation for the seniors under your care. For many volunteers, the residents of these facilities often become a form of extended family, and the companionship you offer can be the difference in making these facilities feel like home. Take Don Findly (pictured), FHCA’s 2018 Volunteer of the Year, whose outgoing personality makes him an instant friend to both residents and staff of The Springs at Lake Pointe Woods. 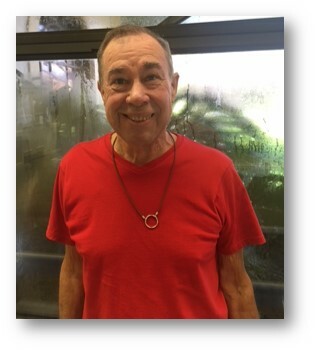 Now in his eighth year of volunteering at the center, he constantly looks to enhance his leadership skills through his willingness to accept challenges. Rainey Conner, FHCA’s Young Adult Volunteer of the Year, regularly brings gifts to residents at Crestview Rehabilitation Center and takes time to listen to their life stories. Rainey started a very thoughtful journey when she was only 11 years and is now an inspiration to other youth in her community, showing them that you get so much more back when you give selflessly to others. 2. The lessons you can learn from residents are invaluable. It’s important to remember that the seniors living in long term care centers in your community were not always dependent on the staff and volunteers that care for them now. As former nurses and teachers, lawyers and bankers, the breadth of knowledge and wisdom found in nursing centers and assisted living facilities is endless — and many times, they’re just waiting to share these experiences with others. 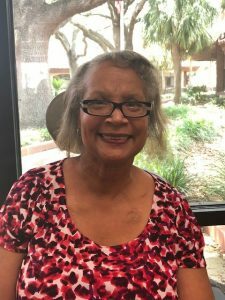 FHCA’s 2018 Joe Negron Resident of the Year award winner Ms. Evelyn Pines of Winter Park is another great example. As Resident Council President at Regents Park of Winter Park and the unofficial ‘facility mayor,’ she has made it her mission to support and encourage other residents to be involved and have a sense of togetherness. When you volunteer at a long term care center, you’ll meet incredible and inspirational people like Ms. Pines who will push you to do the same in your community. 3. You’re able to keep the community involved and informed about residents and their rights. Volunteering in a long term care center is an excellent way to not only give back to your community but also a great opportunity to become a knowledgeable source of the needs and rights of those often overlooked. Through volunteer work with residents, you’re better equipped to inform others of ways that they can help seniors and advocate for any improvements the facility or the state needs to make. As a result, the direct positive impact you make has the ability to go beyond just the long term care residents in your community. Advocacy for those who can’t always speak for themselves is crucial to protecting their rights and will leave you with a limitless sense of fulfillment. Volunteering in a long term care center can be a life-changing experience and can lead to a significant impact on the promotion and protection of the rights of each resident. We often think that the elders in the centers we serve need us, we often do not recognize how much we need them. Visit the FHCA website at www.fhca.org to find a long term care center in your area and begin your volunteer journey today.